It’s hard not to enjoy the show. The writing is of the highest quality, the acting is masterful, and each episode packs in enough action and character development, to keep almost anyone entertained. The series itself has been in play for a while now, and even though I was a little late discovering it, I have now — after a binge watching — watched all of season one. It’s been reported that at the height of his reign in the world of drugs, Pablo Escobar was earning approximately $30 million per day. At one point it was even reported that Escobar was spending thousands of dollars a month — on simply buying enough rubber bands to hold his cash! Forbes also once named Escobar as the seventh richest man in the world, with a net worth of $25 billion. In the series Narcos, we are shown the lawless feats of Escobar, and the attempts to capture him by DEA agents Javier Peña and Steve Murphy. The action scenes, and the detailed look at the inner workings of the Medellin Cartel, are enough to keep you hooked on the show. But, there are also some very poignant business lessons that can be learned from Escobar. You have to admit that regardless of what you’re selling, you have to be good at business to make $25 billion, right? Here the five best pieces of business advice that I learned from watching Narcos. Have a bigger vision than the next guy. This deal with Cockroach, and Escobar’s vision would turn out to be a key in building Escobar’s massive drug empire. Lesson To Be Learned – Too many people fail to dream big enough, or fail to act upon the smallest of their dreams. Successful people, the ones that we all revere and call “lucky,” are the ones that make their own luck by taking a chance on themselves. They are the dreamers who dare to think outside of the box, and the ones with the vision to see what others can’t/ won’t see. Create, and maintain a positive public image.One of Escobar’s dreams was to become the president of Colombia — to do this he knew he had to maintain a positive public image. In episode three, Escobar runs a political campaign to get into Congress. To win over the people, Escobar literally handed out his money in the slums of Colombia. It worked. In 1983 Semana magazine published an article on Escobar with the headline “Un Robin Hood Paisa,” which essentially translates to a Robin Hood for Colombia. Despite the fact that he killed hundreds of people, Escobar was — still is — revered by many. Lesson To Be Learned – It’s important to give back to those that support you. Whether it be to customers, business partners etc. if you give back to those that have helped you, this breeds the most powerful of allies — loyalty. Network, and know how to use intel effectively. Escobar knew how to network to get what he wanted. He teamed up with Valeria Vélez, a character based on Virginia Vallejo, a popular journalist and anchorwoman. Vélez was instrumental in helping Escobar get positive press coverage during this political campaign; she would also become Escobar’s lover.Escobar could get intel on anyone, and he used this to his advantage. In an early scene in the series, Escobar is stopped at a checkpoint with a truck full of drugs and other goods. The police are reluctant to accept his bribe, or be intimidated by him. That is until Escobar names all of the them by name, and shows them that he knows the names of their kids and spouses too. Escobar then goes on to make the bribe a little more personal, when he asks one of the cops if his kids wouldn’t like to have one of the TV’s in the truck and if his wife wouldn’t love some new jewelry. Unsurprisingly, the cops decided to let him pass. Lessons To Be Learned – Making alliances in your chosen field is of paramount value. Too many businesses focus on beating their competitors. While this is important, it pales in comparison to having the skill to make a competitor, into a partner. It’s also important to know your market. You should always be in touch with your customers, and focusing on how to provide them with what they want; as opposed to just what you want to give them. Keep your pride in check.In episode six, Escobar and his cousin Gustavo Gaviria are finalizing a deal to send 1,000 kilos of cocaine to Spain. At the last minute, the dealer asks for 5,000 kilos or no deal. This angers Gaviria, as he feels that the dealer is being awkward and disrespectful by not sticking to the original agreement. Gaviria reminds him that he’s talking to Pablo Escobar, and lets him know that he can walk if he wants 5,000 kilos. Escobar however — realizing how much more money can be made — asks the man to forgive his cousin, and agrees to 5,000 kilos. Lessons To Be Learned – Believing in yourself and in your abilities, is a key ingredient in the recipe for success. However, it’s vital not to lose sight of the bigger picture AKA why you’re doing what you’re doing. 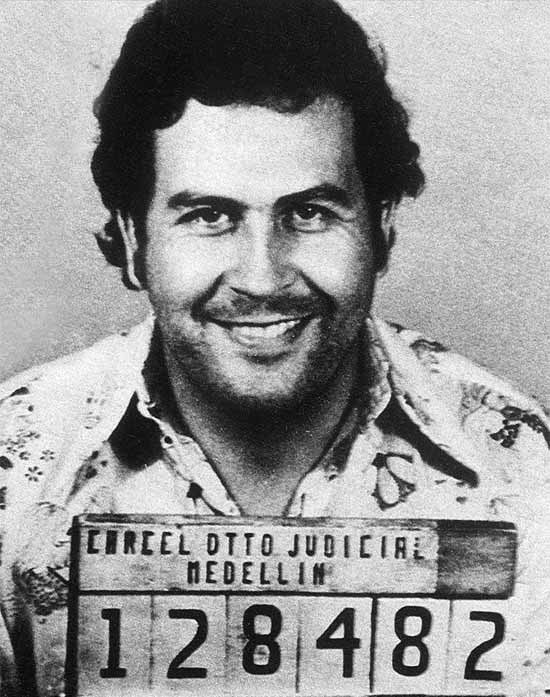 Despite having built a reputation that made him feared and respected worldwide, Escobar kept sight of the fact that he was in this business to sell drugs and make money; as opposed to being a poser. With that foundational realization, he was able to keep his pride in check in this instance. As the Medellin Cartel grew, Escobar would enlist in more help from other drug dealers such as the infamous Ochoa brothers, as well as Gerardo Moncada and Fernando Galeano. Soon, he was no longer involved in the day-to-day operations.He was able to work less and continue to collect more money than ever before. Lessons To Be Learned – During our ascension of the ladder of success, we tend to be driven, innovative, and filled with desire. This process fuels creativity, and adaptability — helping us to make our way toward the destination of achievement. However, once a basic level of success has been achieved, it’s commonplace to become lax in our approach. What Escobar, and others successful entrepreneurs tend to do is quite the opposite. They don’t view success as an endpoint, they instead view one level of success as a gateway that leads to greater levels success. This keeps them in a state of reinvention, and instigates creative progression; this leads them to new plateaus of success and business expansion. Knowledge alone, does not lead to success. It is only when knowledge meets the fuel of action, that achievement becomes possible. I’ve finished watching Narcos just a couple of weeks ago myself, and I must say this is a fantastic dissection of the series. Needless to say, everything started to fall apart for Pablo when he was no longer able to keep his pride in check and maintain a positive public image. So all 5 points that you outline are very important and interconnected. Great stuff! Can’t wait for nest season. I agree with you, Pablo’s problems truly started when his pride took over. The next season should be a killer!